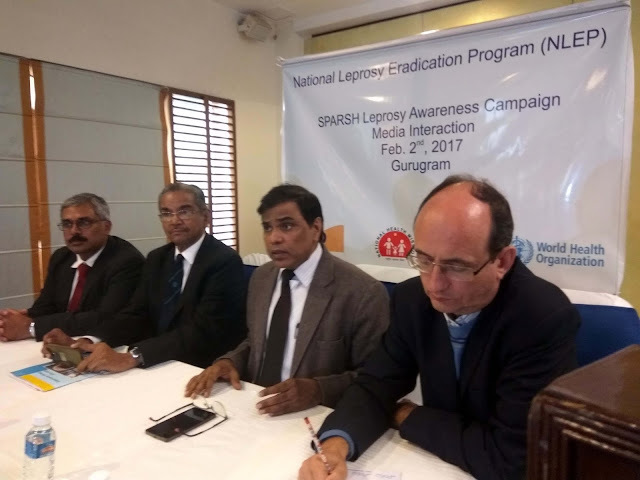 Government of India to launch “Sparsh Leprosy Awareness Campaign"
Gurgaon, Haryana: The Government of India today the announced the launch of “Sparsh Leprosy Awareness Campaign" by Dr Anil Kumar Dep. Director General-Leprosy, DGHS, Govt of India & John Kurian George,(ILEP in India) a unique initiative under the National Leprosy Eradication Programme (NLEP) which was started in the year 1983 with the objective of achieving eradication of the disease from the country. Though the Elimination of Leprosy at National level has been achieved by India, in the month of December, 2005, it is still home to around 57% of the worlds' leprosy affected persons. 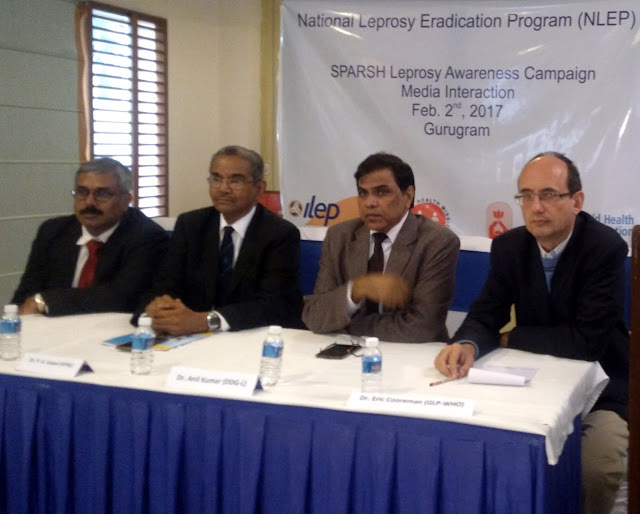 The decision of Government of India to launch “Sparsh leprosy awareness campaign (SLAC)” is an unique initiative under NLEP. Central Leprosy Division (CLD) and its partners like ILEP, WHO, APAL, local NGOs and State Media Cell, local Akashwani and Doordarshan Kendras commemorated 30th January as ‘ANTI- LEPROSY DAY’ every year, wherein nationwide message on leprosy awareness is spread through print and other media. In addition the IEC activities for leprosy elimination run for a fortnight. From now onward this day is envisaged to be celebrated as ‘Sparsh Leprosy Awareness Campaign’, wherein nationwide Gram Sabhas will be organised in cooperation and coordination with allied sector of health department/ ministries i.e., Panchayati Raj Institutions, Rural Development, Urban Development, Women and Child Development and Social Justice and Empowerment etc. The thrust of this Campaign is to promote community participation to reorient the delivery of the service of diagnosis and treatment of leprosy in its early stages from the centralized top-down delivery driven approach to decentralized community based demand-driven approach to empower the PRIs and local communities to take over the responsibility of sensitizing and motivating people for stigma reduction and discrimination and for early self-reporting for diagnosis and treatment. The stigma and discrimination due to disabilities in leprosy has a profound effect on a leprosy individual and the disability hampers his/her earning capacity and therefore socio-economic status. The CLD and its partners ILEP, WHO, APAL also developed an approved plan in 2007 for “Disability Prevention and Medical Rehabilitation-DPMR” with continuation in 12th Plan period. There are some objectives to provide appropriate services to the disabled or to prevent the disability. It is in fact suggested that not only early correct treatment of leprosy with MDT but also early correct treatment of reactions and neuritis can prevent disability. Many deformities corrected by reconstructive surgery in India. As per the epidemiology of Leprosy disease, the major source of infection in the community is an untreated case i.e., a hidden case of leprosy lying undetected in the community, who transmit the disease agent to other people of the community. Early Detection of same will lead to depletion of source of infection in the community, interrupt the active transmission of disease, reduce the complication of case management and reduce the disability. · Elimination at State level achieved in 34 States/UTs out of total 36 States/UTs. · Chhattisgarh State and UT Dadra & Nagar Haveli yet to achieve elimination. · Four states namely Delhi, Lakshadweep, Chandigarh and Orissa who have achieved elimination earlier, shown PR >1/ 10000 population. · Approx. 127326 new leprosy cases detected. · 86028 cases are on record as on 31st March 2016. 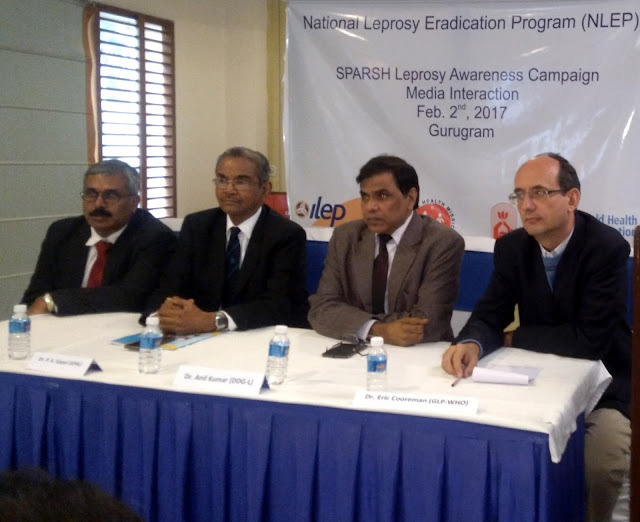 Government of India to launch “Sparsh Leprosy Awareness Campaign"